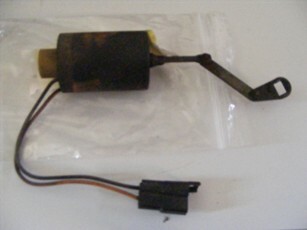 This is a cold air induction flapper motor with entension rods and wiring intact. Unit operates STRONG and functions like new. Very tough item to find not reproduced and this one is complete. Removed from a 1984 Trans Am and bench tested is a warrantied item. This is a cold air induction flapper motor with extension rods and wiring intact. Unit operates STRONG and functions like new. Very tough item to find not reproduced and this one is complete. Removed from a 1984 Trans Am and bench tested is a warrantied item.